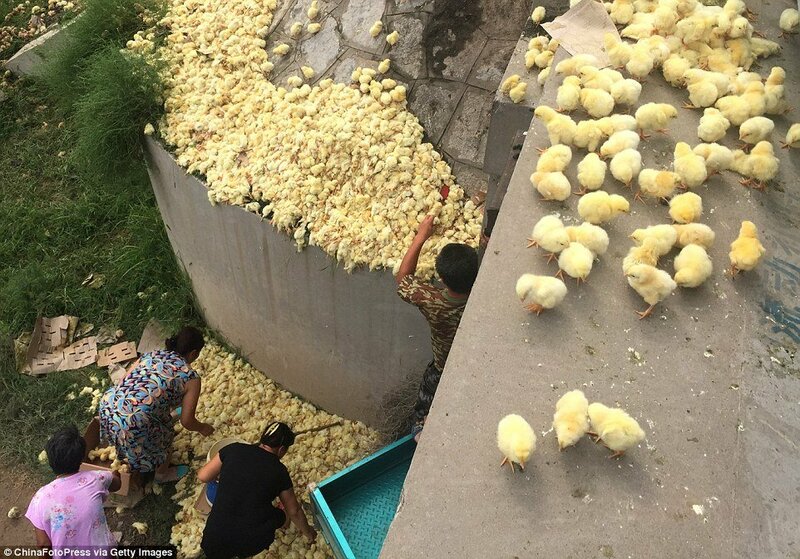 In an odd turn of events, a highway in China was flooded by baby yellow chicks as a truck overturned in the middle of the road. 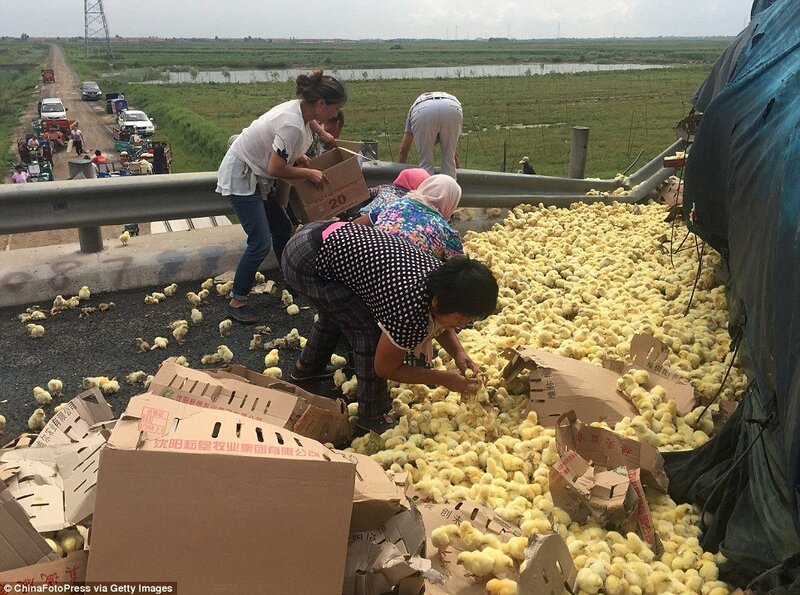 An accident like this isn’t uncommon in the transport business, but the fact that all of the baby chicks spread all over the road in droves is definitely a bit out there. There were said to have been tens of thousands of chicks all over the place. 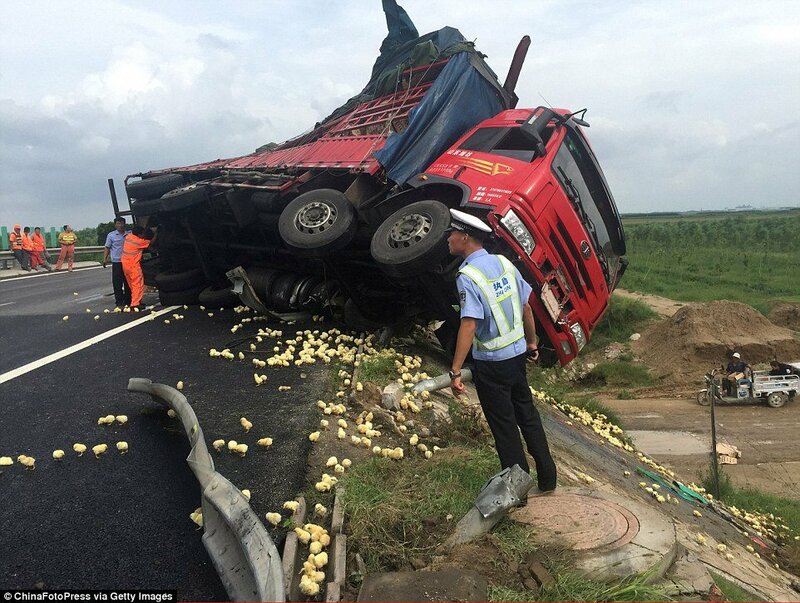 The driver, unfortunately, had to round up all over the baby chicks and get them back into the truck that had overturned. Thankfully, other drivers stopped along the highway and decided to help, plus local villagers spent their afternoon scooping up the little birds, too. The chicks are incredibly adorable, but we’re saddened to think of any that may have been squashed or injured when the truck overturned. It’s also sad to think about how thousands of these baby chicks are slammed into a truck and transported across the country.